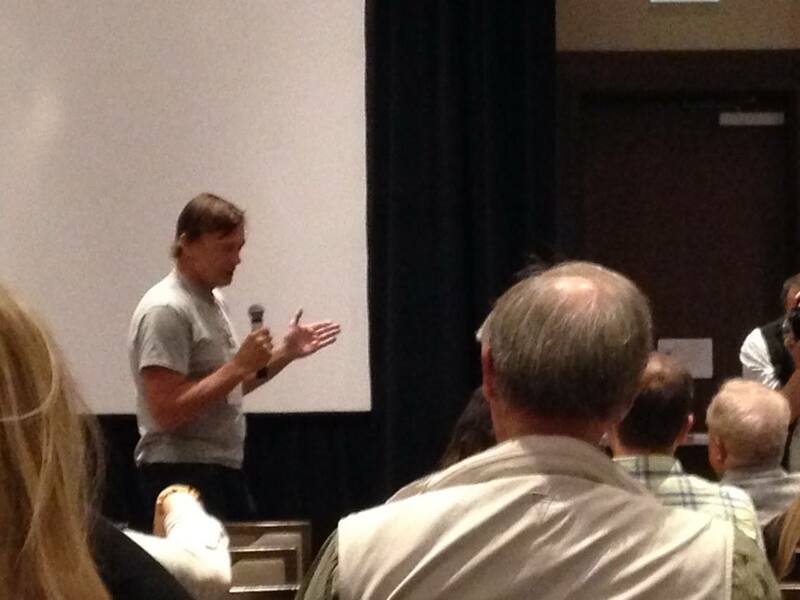 I was so honored to be asked to speak at Autism One in Chicago this year! 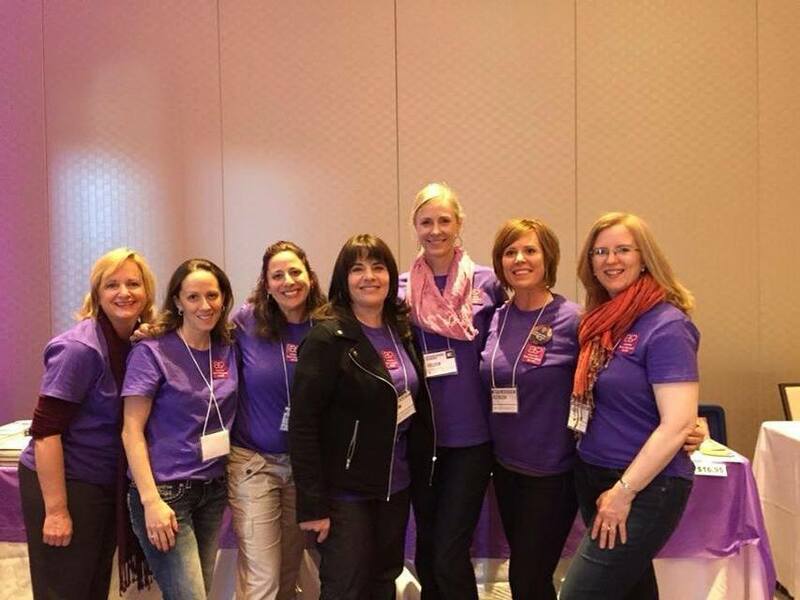 I was a part of a group of “Mothers Determined” authors, all who have recovered their children from things such as autism, SPD (sensory processing disorder), and ADHD. We were so excited to come together to help other parents who are just starting out on their journey. I attended my first Autism One conference back in 2008 and attended a couple more after that. If you’ve never attended one, I highly recommend it! So many highly educated and knowledgeable individuals such as Dr. Andrew Wakefield, Dr. Dietricht Klinghardt, our own holistic/former DAN doctor, Dr. John Hicks, Dr. Gregory Brown (our LLMD – Lyme doctor), Dr. Anju Usman, and so many more. Most of the presentations were videotaped and Autism One has them up on their web site for free viewing! Go to www.autismone.org. It was so hard to decide which presentation to see as there were multiple presentations going on at the same time. 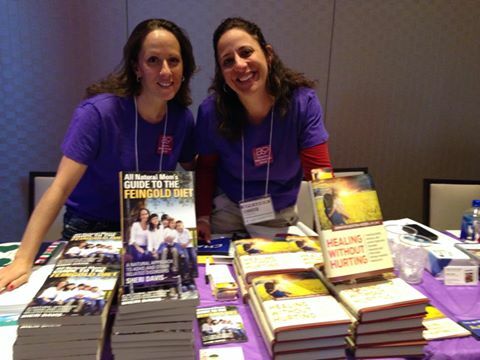 And in between selling and signing my book, “All Natural Mom’s Guide to the Feingold Diet” we also got to talk to parents and discuss ways to help their kids or just listened to their story, which was such an honor. 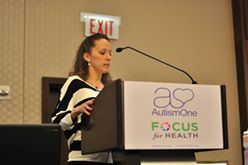 On Wednesday, I spoke for almost an hour (this one was not videotaped but a copy of my PowerPoint slides should be available on Autism One’s web site). If they’re not up yet, they should be soon. 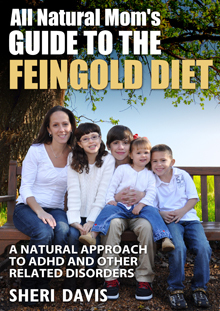 In all these years, the Feingold Diet has never been presented at Autism One. 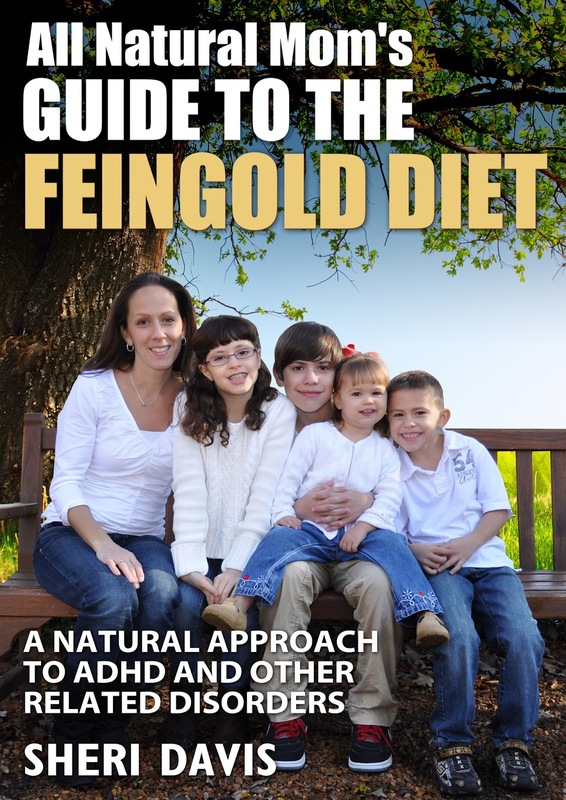 I was so excited to “bring it!” Quite a few people asked me at the Mothers Determined table what the Feingold Diet was because they had never heard of it. Others had heard of salicylates but weren’t too sure how exactly to go about avoiding them. I answered many questions after my presentation as well. I could tell the audience “got it” and were intrigued. So thankful for the opportunity to help spread the word about Feingold! So many parents with kids with autism are told to start a gluten and dairy free (GFCF) diet, and GFCF is definitely helpful. 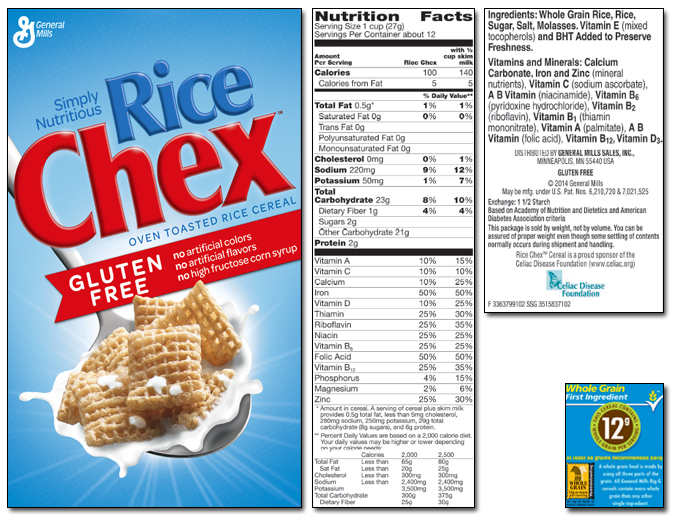 However, they often skip over a very important step in health and healing by not paying attention to dyes, artificial flavors, and preservatives (such as BHT – found in Rice Chex for example, TBHQ, or BHA) which can often be hidden in the packaging and not listed on the ingredient labels. They also often have never even heard of salicylates and how they might affect their child. For many kids with autism (and ADHD), salicylates can cause meltdowns and aggression, along with a long list of other symptoms. This is addressed in stage one of the Feingold Diet where all foods high in salicylates (foods like tomatoes, all berries, apples, grapes, cucumbers, etc.) are avoided for a period of about 6-8 weeks. After that time, they can be tested back in one at a time. For more info on the Feingold Diet, visit www.feingold.org, or search through my blog posts. I have over 50 posts on the Feingold Diet. I even met two real life Feingold members! 🙂 Shout out to Shelley! We got to go around and sample goodies like So Delicious! 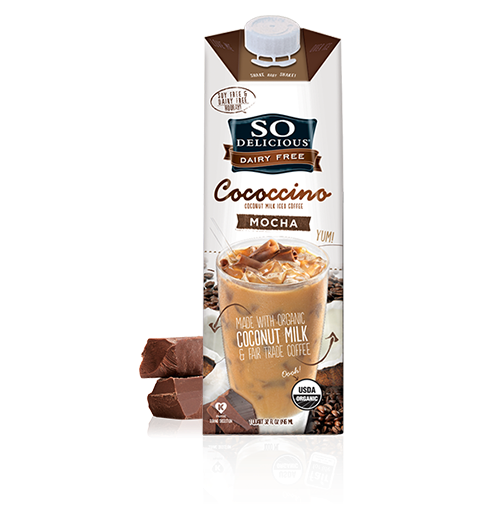 I’m now addicted to their new dairy free Cococcino Mocha! 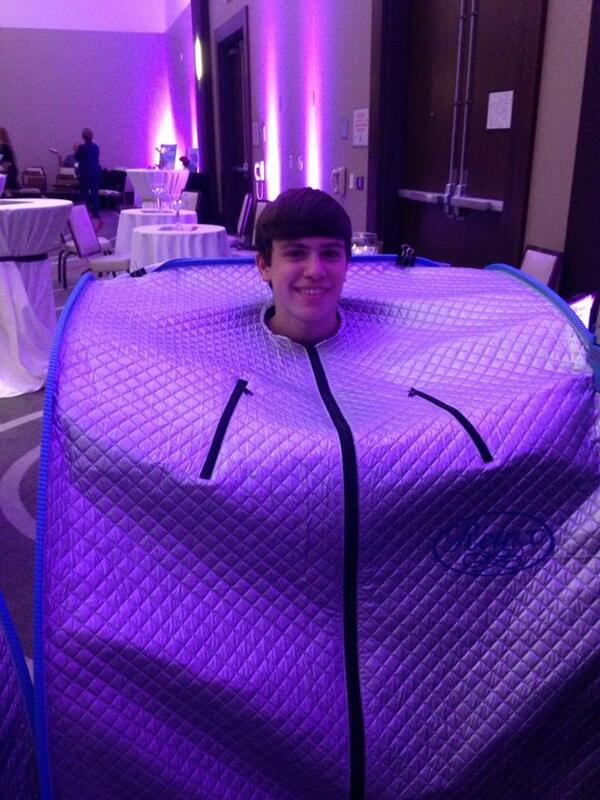 We tested out a portable infrared sauna…and bought one! Thursday night, the other “Mothers Determined” author moms and I hosted a new parent mixer where we met and talked with Dr. John Gray! 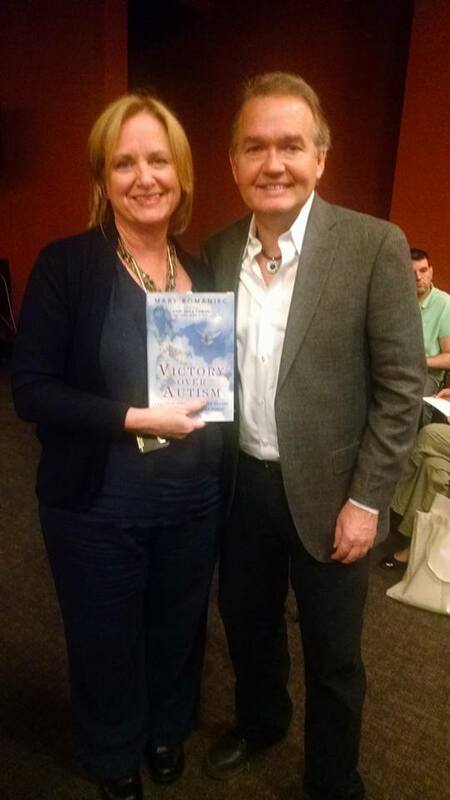 John Gray is the author of the “Men are from Mars, Women are from Venus” books. He also just authored a book entitled, “Staying Focused in a Hyper World – Natural Solutions for ADHD, Memory and Brain Performance.” Who knew he knew all about biomed stuff too?! He’s one smart guy! Check out his web site here. My son spent two hours that night reading his web site. He was fascinated. We also attended his presentation. My son really wanted to talk to him but we never managed to. Saturday night we attended a formal Gala/dinner. 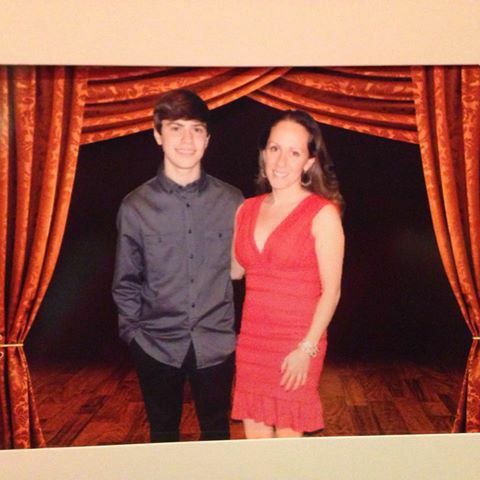 Below is a picture of me and my handsome date for the night (my son)! 🙂 He was allowed to go under one condition: He had to take a picture with me! 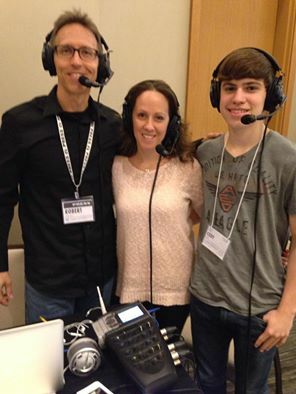 Sunday, my son and I were interviewed by Robert Scott Bell of Natural News! This was so much fun! The 15-minute segment aired on May 29th. You can download the MP3 and listen to it on Youtube here. 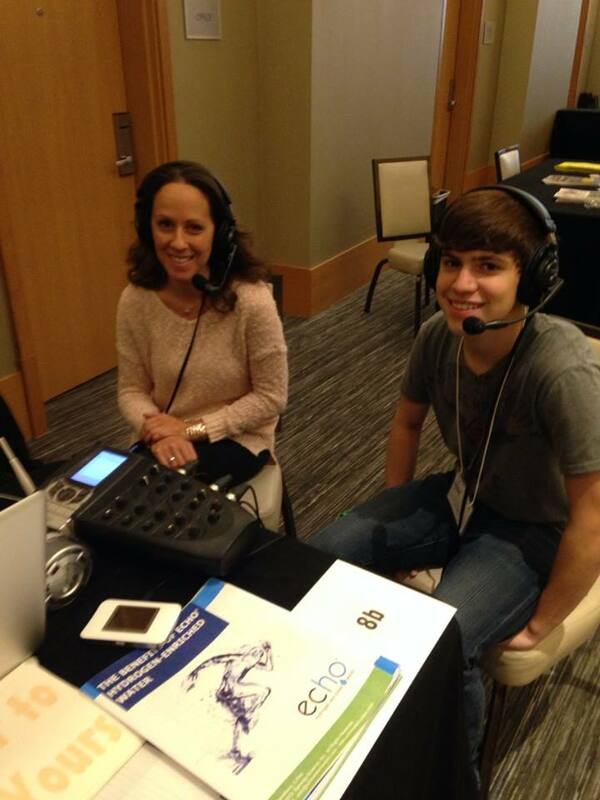 Right after the conference, I got to do an hour and a half long webinar with Maria Rickert-Hong, author of “Almost Autism” and Media Director for “Documenting Hope.” Click here to sign up to listen to the replay of that webinar. 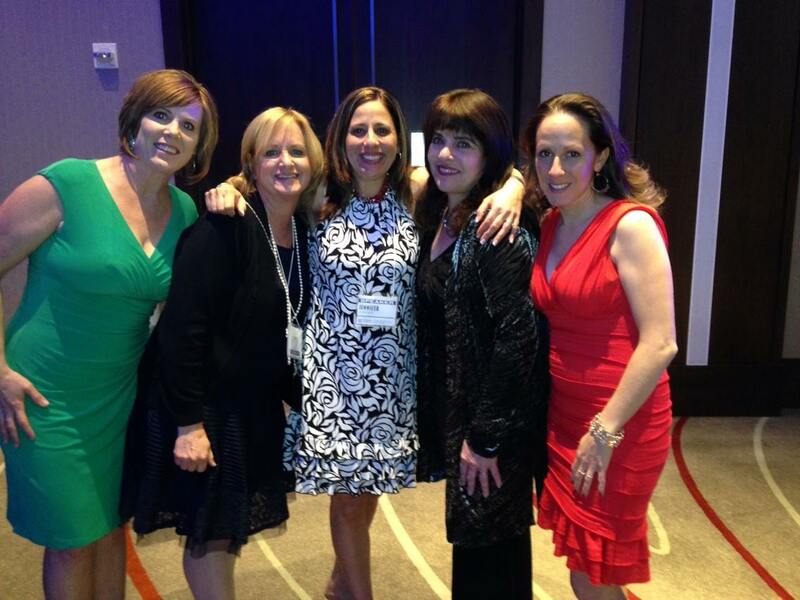 I met some amazing people and it’s always fun (and rare!) to be surrounded by like-minded people. 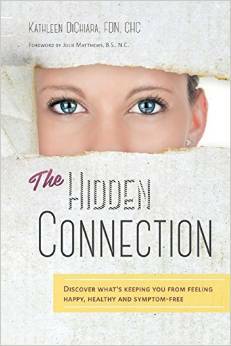 I loved talking with Kathleen DiChiara, author of “The Hidden Connection” who recovered herself from Fibromyalgia, paralysis, and a long list of ailments, as well as recovering her son from autism. She eats a completely GMO-free diet, almost all organic, as does her family, including three young boys. We’ve never attempted to go completely GMO-free but I’m trying to be more mindful of it now. Kathleen just finished up filming a documentary of her recovery called “Secret Ingredients” sponsored by the San Francisco Film Society which will be released in the fall. Can’t wait to see it! It should be quite entertaining! And educational! Check out the details here. 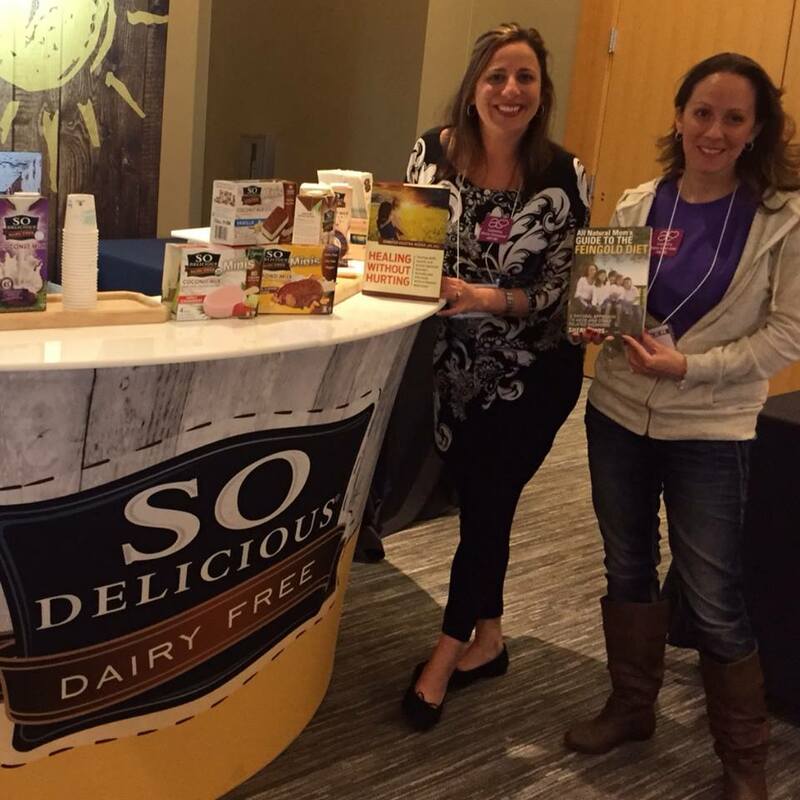 Kathleen is a Functional Nutrition Practitioner at “Rhode to Health” in Rhode Island. Follow her on Facebook here. 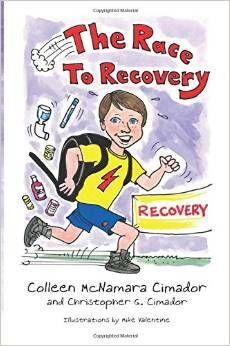 She and her son wrote an awesome chapter book for older kids, or to read to your kids, that describes their journey of healing and recovery from autism. 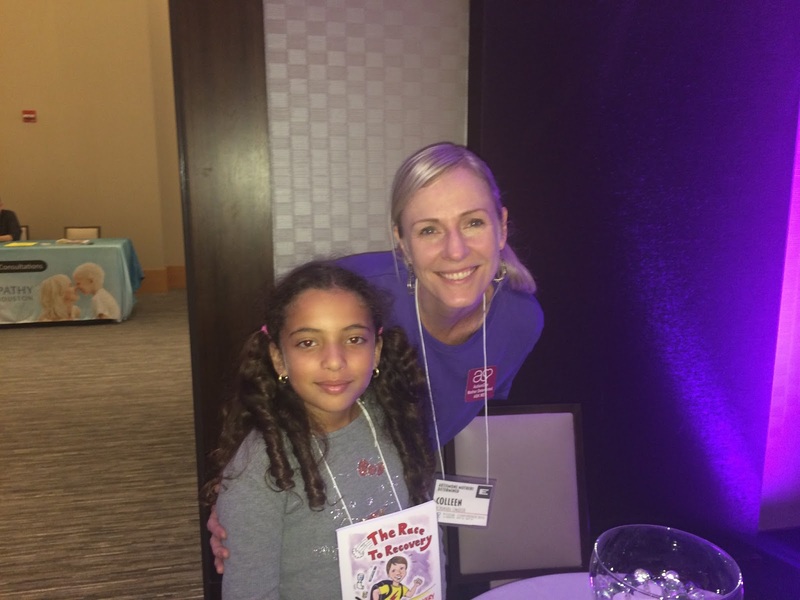 She met a little girl named Bianca at the conference who told her that she once had autism, but that she no longer did. She loved Colleen’s book, and Colleen got to sit down with Bianca’s Dad where he talked about their personal experience – how they recovered their daughter, and how they were now working on recovering their son. It is a great video! Check it out on Colleen’s blog post here. 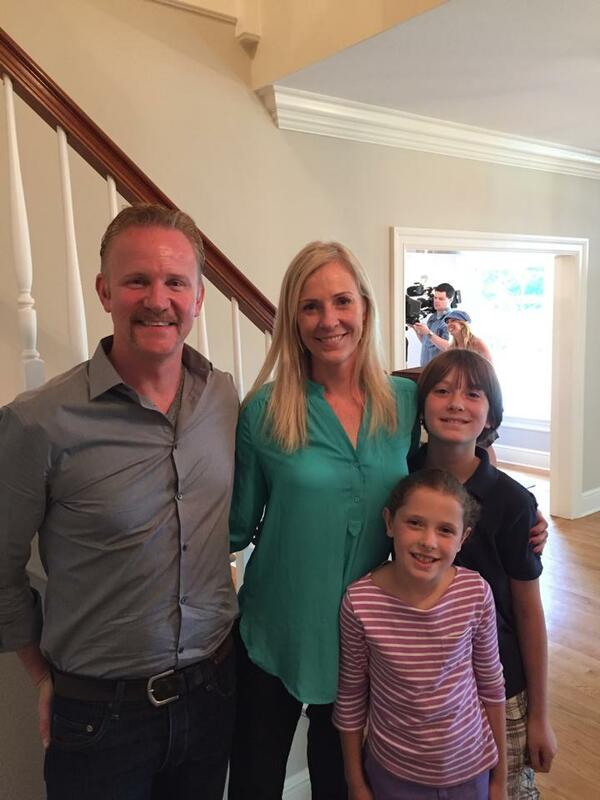 Colleen also just recently sat down with Morgan Spurlock director of the documentary, “Super Size Me!” Loved this movie! This was the first food documentary I ever watched several years ago. If you haven’t seen it, check it out at your library. (There’s a family friendly version as well – some swearing, off color remarks). Colleen talked with Morgan for his show, “Inside Man” on CNN. They discussed toxins and a few other things including the upcoming documentary, “Documenting Hope” for which she is the spokesperson. Morgan’s special with Colleen will air sometime in the fall. Colleen is a Certified Holistic Health Coach in Connecticut. Check her out on Facebook at The Dish On Healing. Or on her blog at www.dishonhealing.com. 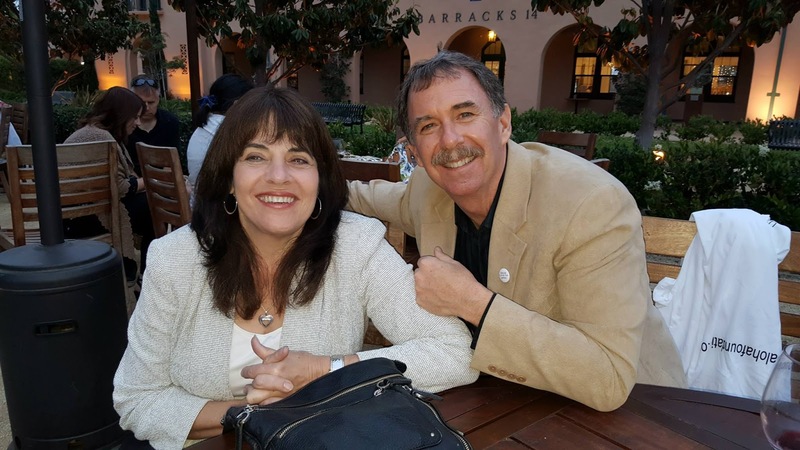 Jenn and I are two of the admins on a large Facebook group called, “ADHD Natural/Non-Medication Children’s Support Group.” Jenn and I wrote our books around the same time and we’ve exchanged ideas and helpful tips over the last couple of years. It was fun to finally meet her! Jenn is a psychotherapist in Connecticut. She worked with many of the first responders of the Sandy Hook Elementary School tragedy. Jenn worked along side psychiatrists who prescribed meds, and pharmaceutical reps who were selling meds. 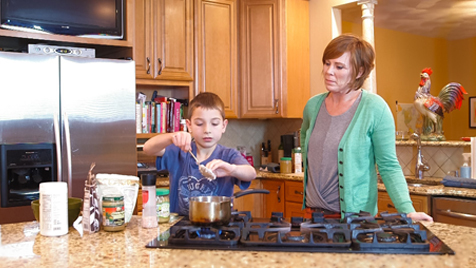 When Jenn’s son was diagnosed with autism, she started to look into natural treatments. She discovered many of the same things that helped her son recover could help others as well. So she wrote a book to share her own experience and to help educate others that there are natural alternatives to medication. 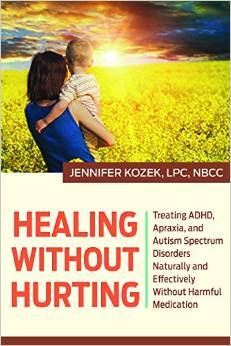 Check out her blog at www.healingwithouthurting.com, or on Facebook here. She recovered both of her boys from SPD (Sensory Processing Disorder). Maria is the Media Director of “Documenting Hope.” This documentary will chronicle the lives of 14 individuals over 18 months as they recover from autism, ADHD, asthma, SPD, and more. Can’t wait to see it! Maria is also a Certified Holistic Health Coach in Connecticut. 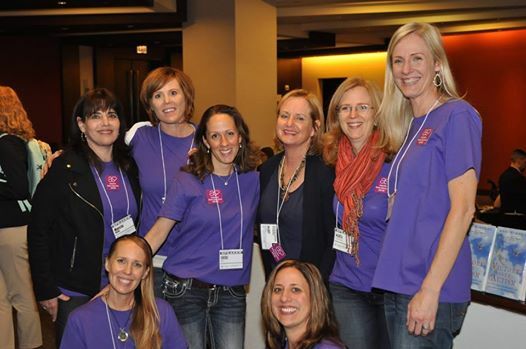 Follow her blog at http://www.mariarickerthong.com/ where she puts on awesome monthly webinars that educate parents on health and healing. 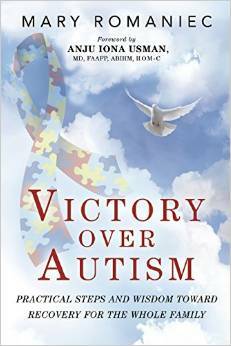 And then there is the vivacious Marcia Hinds, author of “I Know You’re In There – Winning Our War on Autism.” I love the title of this book! What a great summary of how every parent of a child with autism feels about their child. 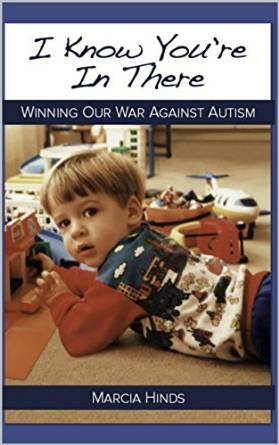 Marcia is the mother of Ryan, diagnosed with autism as a young child back in the 90’s. She was told there wasn’t much she could do for him. Like many Mother Warriors, she didn’t accept that answer. She took him to another doctor, and didn’t stop looking for answers until she recovered her son. Today, he is a bright young man, a college graduate, and is working as an aerospace engineer. Marcia couldn’t be more proud and is a great encourager to many moms today. Marcia’s husband Frank helped us “man” the tables all week and we are very grateful for his help! What a great couple! Instead of spending their retirement out golfing or vacationing, they are both helping parents win the war against autism. 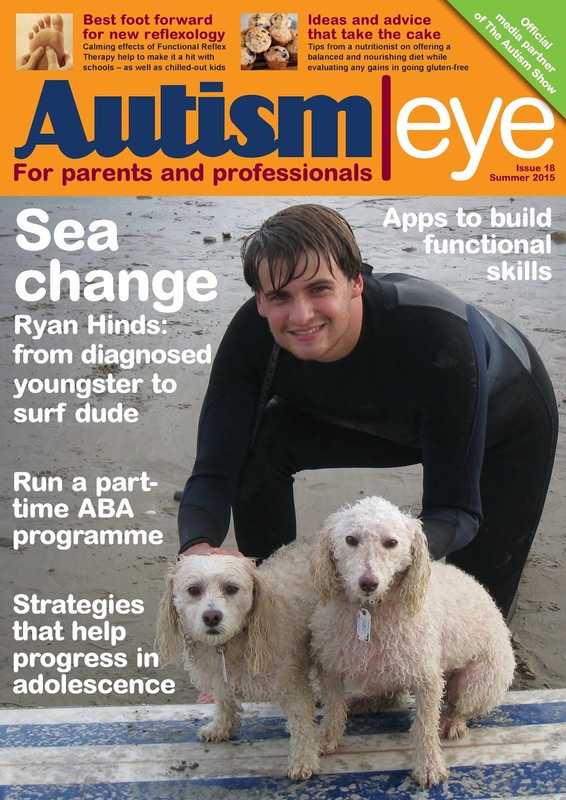 Last week, Marcia’s son Ryan was on the cover of Autism Eye in the U.K. and the magazine featured an article he wrote. You can read the article here. 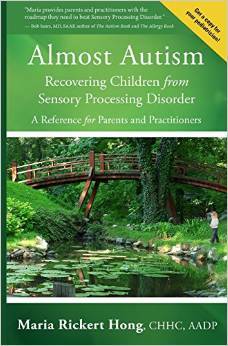 Mary’s book doesn’t come out until January but she got some advance copies for Autism One. You can pre-order a copy on Amazon now though. I got a copy and can’t wait to read it this summer! Mary is a wealth of information. 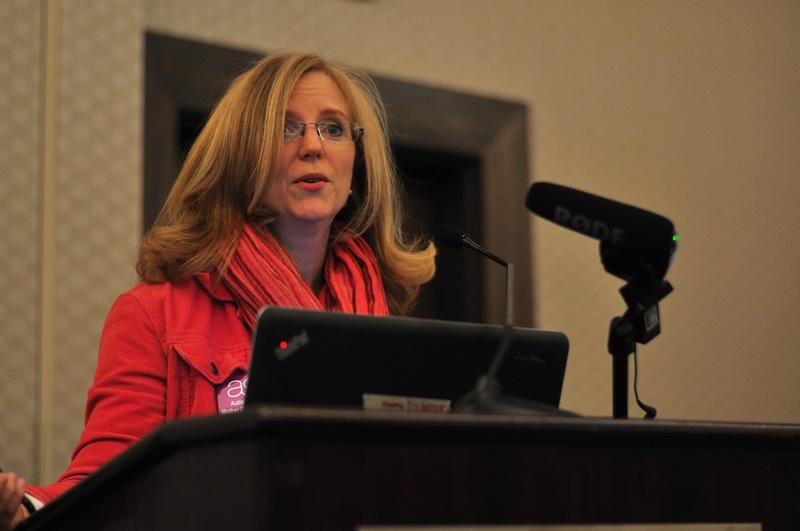 She recovered her 4-year old son from autism and currently works as a reporter in Massachusetts. These are some great books and some great authors! If you’ve read any of these books, please pay us the biggest “thank you” by leaving a review on Amazon! As authors, we have poured ourselves into our books and it’s so encouraging to hear how our books have touched another person’s life. And if you have some constructive criticism, we’d love to hear that as well! It helps us know how to make any second editions even better! If you haven’t read these books yet, and you’re cheap like me! Or just unable to afford it at this time, put in a request at your local library. They will often purchase books that patrons have requested. Below is a copy of my handout from my presentation at Autism One. Feel free to use this handout but please reference my web site, www.allnaturalmomof4.com and myself as the author of the information. If you are giving a Feingold presentation, I would be happy to share my PowerPoint slides. 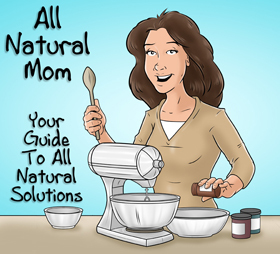 Just send me a message on Facebook, www.facebook.com/allnaturalmom. We need to spread the word! And I will continue to offer my free PDF cookbooks indefinitely, either Feingold Stage One Recipes or my GFCF (Gluten and Dairy Free) Recipes with anyone who leaves a review of my book on Amazon. Just send me an e-mail at sheridavis205@comcast.net. 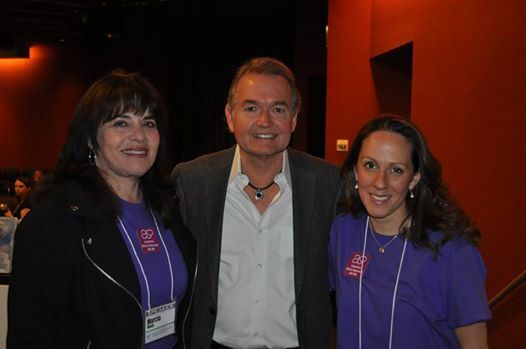 Thank you to Teri and Ed Arranga for bringing Feingold to Autism One and for all that you do to make Autism One happen! I am beyond grateful for the opportunity! And thank you to Carrie Bourgo and Tangie Fleming for helping me with the presentation. My Feingold mamas! Much love! And a big thanks to the Feingold Association for donating a free Feingold membership to one lucky winner at Autism One. Also, I have a box of books left over from Autism One and will be selling signed copies for only $10, which includes shipping! The hard copy sells for $10.99 on Amazon (e-book is $3.99). Just send me a message on Facebook. I accept credit card payments. 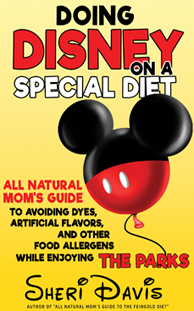 For more information on how dyes, artificial flavors, and preservatives can affect your child’s health and behavior, check out my book, “All Natural Mom’s Guide to the Feingold Diet” available now on Amazon! 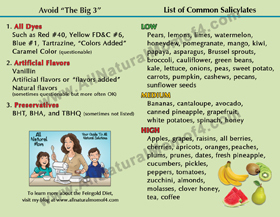 List of some of the more popular salicylate foods: (this list is not all inclusive). Note this list varies from that found on the Internet. This is based on Dr. Feingold’s research and member feedback. You can also find this list on Feingold’s web site here. The “Blue Book” is available for free download. It explains some of the basics of the diet. Low Salicylate: Pears, lemons, limes, watermelon, honeydew, pomegranate, passion fruit, mango, kiwi, papaya, guava, asparagus, Brussels sprouts, broccoli, cauliflower, green beans, kale, lettuce, olives, onion, peas, sweet potato, carrots, pumpkin, parsley, cashews, pecans, sunflower seeds. Maple syrup and a long list of spices are also low salicylate. Medium Salicylate: Bananas, cantaloupe, avocado, canned pineapple (not fresh), grapefruit, white potato, spinach. Spices: Cinnamon, oregano, sage, cumin, and more. Honey (except for clover honey). High Salicylate: Apples, grapes, berries (including strawberries, blueberries, raspberries, etc. ), cherries, apricots, grapes, raisins, nectarines, oranges, peaches, plum, prunes, tangerines, dates, fresh pineapple (note canned pineapple is a medium salicylate), cucumbers, pickles, peppers, tomatoes, zucchini. Spices: Cloves, oil of wintergreen, red pepper, paprika, chili powder, cayenne, rosemary, dill, ginger, and more. Almonds, molasses, clover honey. Tea and coffee are also high salicylate. Can eat freely from the list of low salicylates, eat less frequently from the medium sals, and avoid all high salicylates. Can test back in one new stage two (high sal) food at a time after seeing 6 to 8 weeks of improved behavior. Many people remain mostly on stage one, eating stage two foods only in moderation. However, some are able to do all stage two foods without a problem. “Why Can’t My Child Behave?” by Jane Hersey. For more information about future book releases, visit my sales page at www.momof4.com. Look for “How to Implement a Natural Diet and Lifestyle with Kids” later this year. Leave a review of my book on Amazon or send me an email letting me know that you attended one of my presentations, and I will e-mail you a FREE e-cookbook! Just send me an e-mail letting me know if you would like a Stage One Recipes cookbook, or a GFCF (gluten and dairy free) Recipes cookbook, or both! Questions about the Feingold Diet? E-mail me at sheridavis205@comcast.net or message me on Facebook. I’d love to hear from you! Posted in Biomed, Feingold Diet.